First of all, thanks a lot for sharing all helpful scripts for ImageMagic! I will have a question about 'embroidery effect'. I uploaded the embroidery file into my server and ran the following bash and similar variations but always failed. 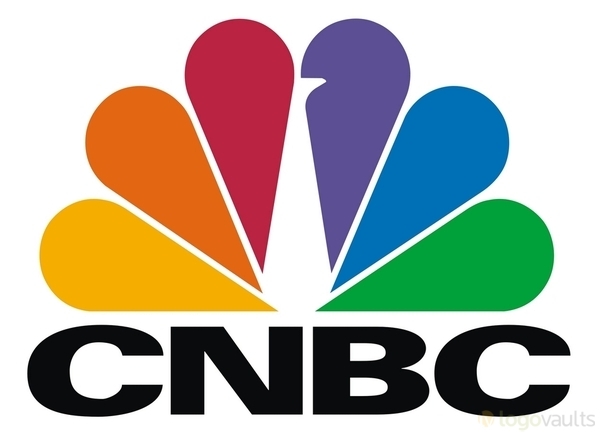 It creates the effect but only gray color background but other colors on the CNBC logo. My IM version is 6.7 and tested some of other scripts you shared and worked. Could you please tell me if I am missing something? Your help highly appreciated! I am also facing the problem with the embroidery image conversion. When I am trying to apply the embroidery effect, only background is converting into the embroidery and rest of the image part became the black. I am using the same cnbc image.http://www.fmwconcepts.com/imagemagick/ ... s/cnbc.jpg. Please provide me the solution of this issue. What is your exact command line? What error messages? What is your version of IM and platform? On what web site is this being used? Did you upgrade the script after I fixed the -p argument as mentioned above? I am using the below logic with the php. I am using the latest embroidery script. There is no any error message. Only background converted into embroidery other than that all parts converted into black color. I got below error with junk data. So I have posted error message here. "sort: write failed: standard output: Broken pipe sort: write error"
Yes, We got the same error. Below is the error which we have found with your provided script. Below is the final output after applying the embroidery effect. Do you have the unix command sort available? sort -k 1 -nr | head -n 8 | sed -n "s/^.*\(#.*\) . *$/\1/p"
convert cnbc.jpg -format "%c" histogram:info: | sort -k 1 -nr | head -n 8 | sed -n "s/^.*\(#.*\) . *$/\1/p"
What web site is this for? We found the same colors from the provided the script. makwana.ajay wrote: We found the same colors from the provided the script. Are you saying that the sort worked fine? If so, then I am at a loss to know why the script fails for you, esp, if you have modifed the PATH to include the path to convert. Are you running the script where the images reside? If not, then you need the path to the images. Can you test in a terminal window (even on another computer) to see if that works? That will tell us if it is your PHP environment. Thank you for your prompt reply and solution. Now the solution works fine with the command prompt but still there is some issue when try to execute the script from the PHP. Below are the some server configuration. Please look into that and help us to work it with php script. Sorry, but I do not know how to configure PHP. Do you get any messages? Yes, we are getting message given below.